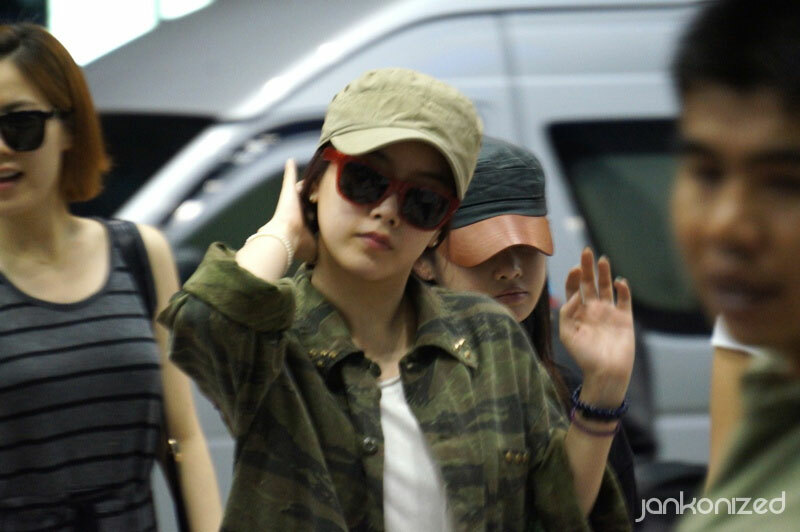 Fanpics of T-ara members leaving Thailand on June 4th after their Bangkok concert the night before. Looks like the girls are leaving on an early flight. T-ara at Gimpo Airport, departing for Japan on 110926. Their Japanese debut single, Bo Beep Bo Beep, will be officially released on 110928. Eunjung and Hyomin playing with a little foreigner while waiting for their flight to Thailand to promote a survival music talent show.